Many of us do not pay enough attention to the bed we sleep in. That’s a shame when you consider that we spend about a third of our lives asleep! A good night’s sleep is critical for maintaining your body’s health and a great mattress can help ensure you get the rest and recovery you need. Here are four important questions to consider when buying a mattress. 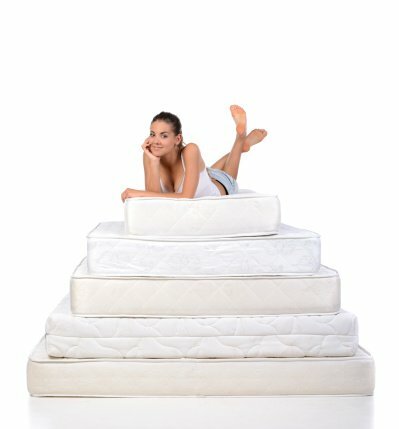 What size mattress is best for me? One of the most elemental things about a mattress is its size. Are you sleeping alone currently or with a partner? If you’re sleeping alone currently, a full or twin sized mattress would be sufficient, but if you might be sharing your bed with someone soon, a queen or king sized mattress makes more sense. When choosing a larger size, you need to be sure it will fit well in the space you intend to place it. What mattress style and comfort level will work best for me? There are so many styles out there that it can be very hard to choose. The best thing to do is try out various designs and comfort levels to see which feel right to you. MATTRESS360 offers an extensive selection of today’s latest and greatest mattress sets. Home comfort trail are offered with 60-120 night comfort and price protection to ensure you get the best rest of your life. What type of mattress suits me best? There are lots and lots of choices today as technology has caught up with the Bedding Industry too! Memory Foam, Gel , Latex, Hybrid, Innerspring, Motion Life style and Adjustable Bases are just a few of the various types of mattresses offered today. It’s important to experience as much as you can from these different types by actually trying them out and seeing what feels best for you so wear comfortable clothing and spend time trying out your options. Many consumers try to select a mattress by pressing on demonstrator models with just their hands… kinda silly, right? Ask good questions and share with your sleep consultant your sleep habits, sleep-routine issues and concerns. Does the retailer stand by their mattresses? It’s always important to consider the retailer’s policies regarding the mattresses they sell. What is their return policy? Is there a satisfaction guarantee, so you can be sure that the mattress you have spent good money to purchase will be the right one for you and you can exchange it, if not? All of the above may seem like a lot to consider, but doing your due diligence will help you select the best mattress for your needs. At MATTRESS360 we work with all our guests to ensure that the mattress they purchase will be the one best suited to them. And we back up our sales with 60-120 night customer comfort and price protection. We carry Serta, iseries, Dunlopillo, Churchill & Smith and many other top brands and are fully confident we can find the perfect mattress and bedding accessories for you and your budget. Please visit us today!